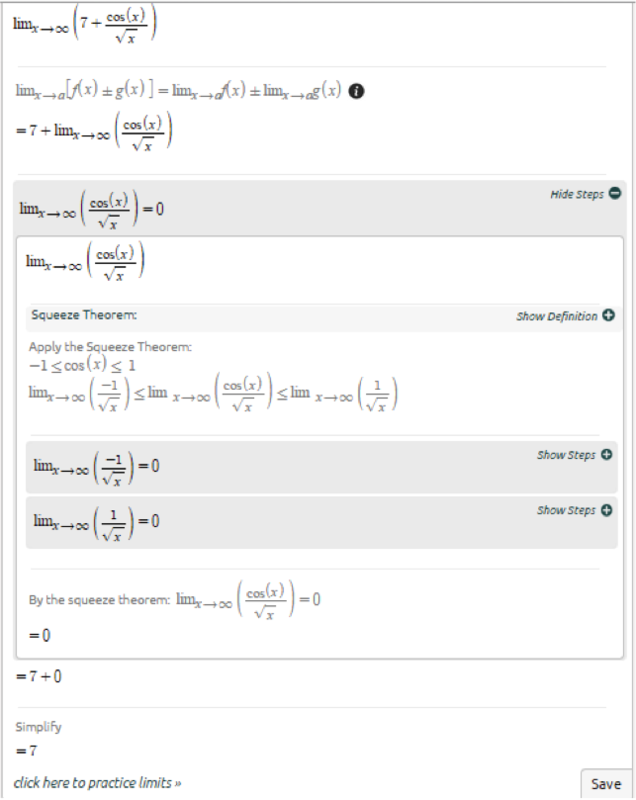 In our previous posts we have gone over multiple ways of solving limits. 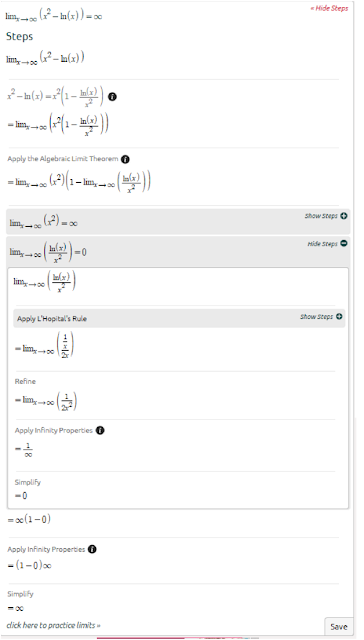 In this post we will talk about advanced limits that not only require certain methods we have talked about like, L’Hopital, squeeze theorem, etc., but also require application of properties and the algebraic limit theorem. We won’t go each problem step by step because each problem is different from the other, but we will have two examples to show different types of advanced limits that use multiple ways to solve them. In this example we use the algebraic property and the algebraic limit theorem to get the function in a form, where we can apply L’Hopital’s rule and find the limit. 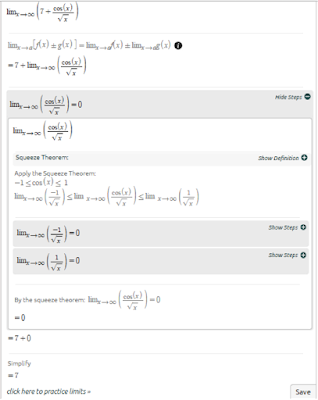 In this example, we use the algebraic limit theorem to get the function in a form where we can apply the squeeze theorem and find the limit. In order to solve these advanced limits it is important that the different methods and properties are fresh on your mind. Since there is no exact recipe on how to solve each advanced limit problem because each problem is different, I will tell you what I found easiest for me. Memorize all the different ways to solve a function, such as substitution, factoring, L’Hopital, the chain rule, etc. I should use your tips later. And you should click this link now. You will appreciate that.